If you enjoy gardening, and you are trying to incorporate organic foods into your diet, you are surely already growing vegetables in your own yard. However, besides the proper amount of sunlight and fresh air, your vegetables need to be protected from bad weather and pests as well. 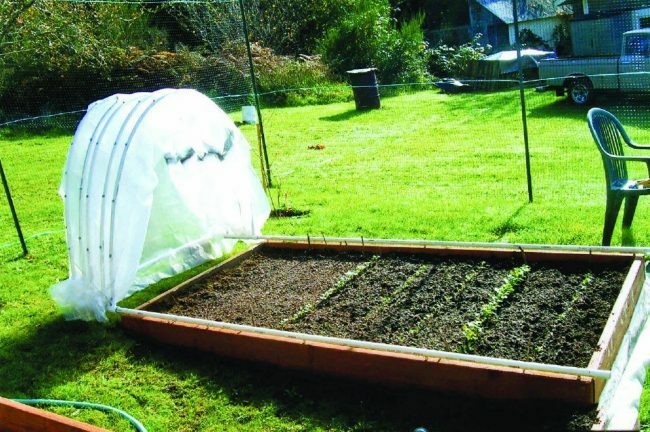 In this case, this vegetable garden hoop house that glides open and closed is what you need. Before you start building it, you need to purchase a few PVC pipes and a plastic cover. Then, just follow the building instructions, and you will soon have a hoop house that will allow you to grow greens even in the snow! As soon as you build it, your crops will be safe, and your veggies will be perfect for consumption!